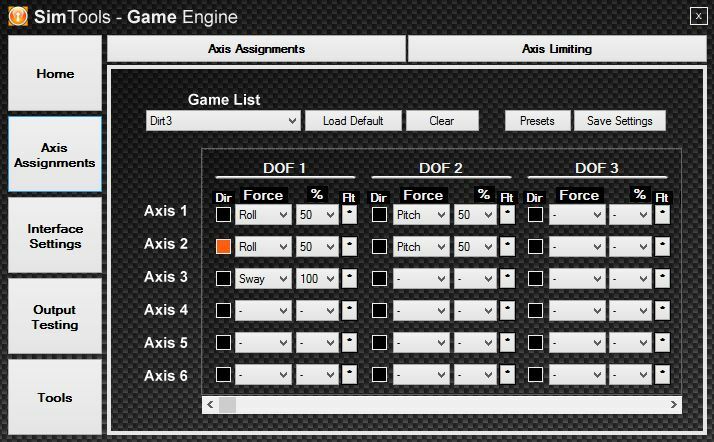 Once you have your model, make sure it moves as expected with the sliders and save a copy. Under “Controller” you will find something like “slider(‘servo4205’)”. Replace this with “$axis1”. This is our new global variable, that will be used to drive the servo instead of the slider. Repeat for all servos and replace the slider names with “$axis2”, “$axis3”, etc. When all done the SketchyPhysics Control Panel should be empty (or at least no liders for your servos) when clicking Play/Pause. Save the model and close SketchUp. 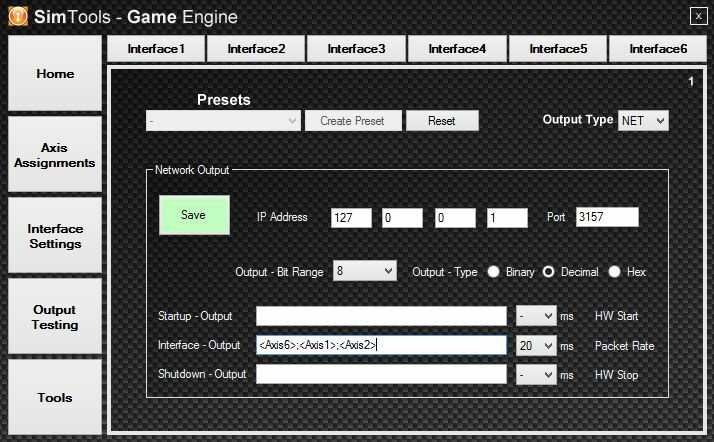 In GameEngine setup your interface to Output Type: NET. When running GameEngine and SketchUp on the same computer enter 127.0.0.1 as IP address (otherwise the IP address of the PC that runs SketchUp) and Port 3157. Output – Bit Range shall be 8 and Decimal. 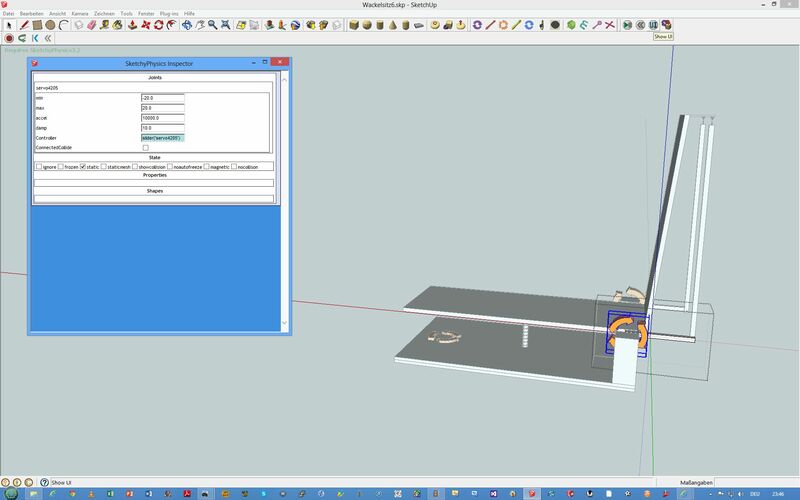 In the Interface – Output field enter the axis you want to assign to the servos in SketchUp, separate the axis with “;”. Then click Save. If not done already start up GameManager and your game of choice. Check if everything works to your satisfaction and open the SketchUp model. The Ruby script is automatically loaded at the start. So click on Play/Pause and see your simulator model dancing when driving your car! If you want to try immediately I have attached a file containing a SketchUp model and the Ruby script to the resources. You also need to install SketchyPhysics from here. Thanks to James Bradwell, who has inspired me to set up SketchUp with SimTools!